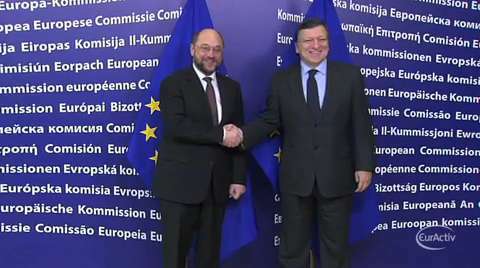 European Commission President Jose Manuel Barroso and his team of EU commissioners travelled to Dublin on Thursday to mark the start of the Irish presidency. Prime Minister Enda Kenny wants to use his presidency term to clinch a deal on restructuring Ireland's bank debt and successfully exiting the bailout programme. Banking supervision and reaching a deal on the EU budget will also be amongst Dublin's priorities.